Nablus. Palestinian Territories. 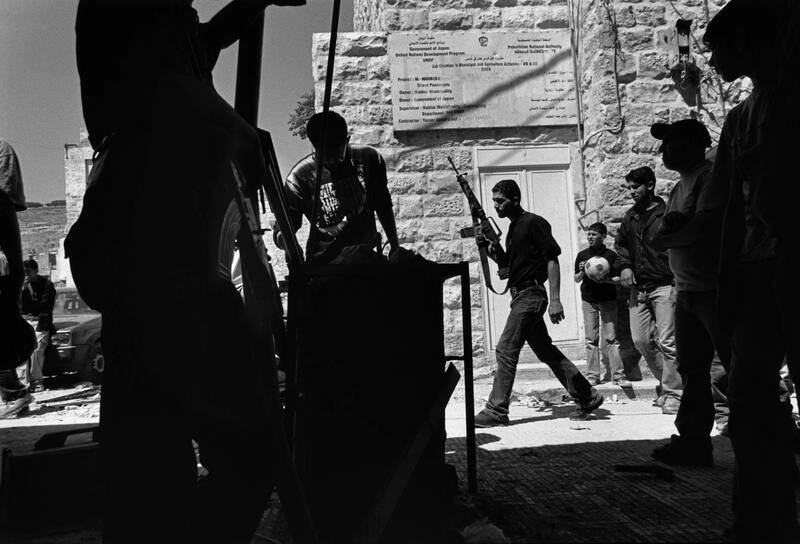 2004 Palestinian militants setting up an obstacle for an expected incursion by IDF forces that night in the Old City in Nablus. Watched by local children playing in the street after school.